We’re excited about the new products Aveda has recently released. They have three new hair products and a new make up line for Fall 2015. All items are available for purchase at XEX. Aveda’s new Smooth Infusion Nourishing Styling Cream fights frizz and nourishes all day. It includes certified organic cupuaçu and shea butters. Created for medium to coarse hair, it works great on loose waves, straight or curly hair. Simply towel dry, air dry or blow dry, then apply the cream. The new Be Curly Co-Wash reduces is a sulfate-free, low-lather conditioning wash with certified organic babassu oil meant for women with curly hair. It gently cleanses your scalp, reduces frizz and moisturizes curls for up to three days. The result is soft and defined curls. Infused with certified organic babassu oil and shea butter, Aveda’s Be Curly Intensive Detangling Masque helps to detangle curls. It separates the most tangled curl and improves the look of your curls with each use. It also fights frizz and adds moisture to your curls. 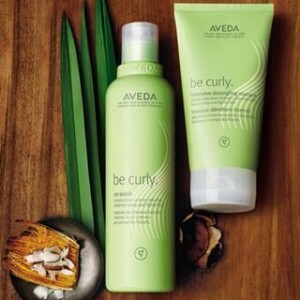 It can be used in place of Aveda’s Be Curly conditioner. Aveda’s Sublime Spirit Collection is is inspired by fashion and beauty. The eye and make up products are meant to complement the autum season. From pastels violets to deep reds and bronze, the collection has a color palette to work well with all types of natural beauty.